Cross-media funding/co-production opportunity, for kid-oriented projects! Cinekid for Professionals are looking for film, TV and cross-media projects for their Junior Co-production Market, which takes place on the 23-26th of October in Amsterdam. This is an awesome opportunity for producers who want to connect with investors, and be part of international co-productions. 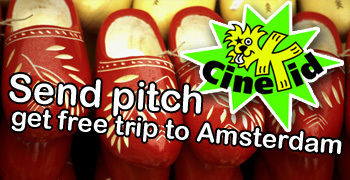 If your project is selected, the festival is offering a free trip to Amsterdam, to give you a chance to pitch your project for investors from around the world. You are looking for international co-financiers, pre-buys etc. Deadline for application is the 1st of july, 2012. General information about the co-production market here.